Security officer training may not seem like a major priority to every business, but as more companies start to realise the benefits of well-trained guards, the need for adequate training is starting to become more apparent than ever. Just as training and education helps to increase the level of employee expertise, training provides security officers with a broader level of skill. When it comes to guarding your premises, equipment, people and customers, this can mean all the difference between a badly trained officer who is unable to deal with a tricky situation, and a trained officer who is fully equipped and able to handle every situation that could arise. Training provides you with a far better level of security. After all, that is why you hire guards to keep watch of your shop, office, warehouse, school or other type of business premises. Peace of mind is granted not only to business owners, but also to customers who are able to visit your building without feeling concerned about their safety. Knowing that security is able to react efficiently, quickly and appropriately during any given situation allows you to focus on your primary duties without additional things to worry about. Training reduces the risk of poor performance, poor conduct, bad attitudes and even corruption. This is because training also provides many advantages to the guards themselves, by empowering and furthering growth and investing in their skills. Trained guards deter opportunistic crime. Compared to a badly trained or untrained security team who may not be doing their job correctly, a well-trained guard acts as a deterrent by providing visible policing that is pro-active rather than passive or non-existent. A guard stationed at key entry points is far more of a deterrent than an electronic camera – with the right training, the guard will ensure that your premises always stay safe. Training builds confident, alert guards. The security industry can be full of potential danger, requiring a high level of alert and the ability to recognise potentially volatile situations and suspicious behaviour. 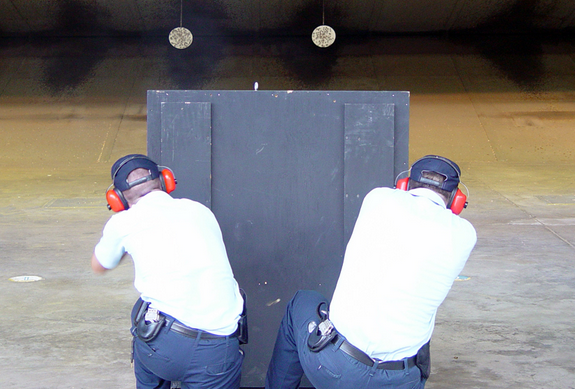 Guards who have received the right training respond better and are better able to assess situations on the spot, as they have a higher level of confidence than guards who are untrained and unskilled. A confident guard that is committed to his or her job and empowered through training is also a committed and loyal guard who will perform at their best at all times. Training improves handling of weapons and pepper spray. Whether your guards are licensed to carry firearms, or they are equipped with batons and pepper spray, knowing that they are able to use their tools properly and safely is essential. A well-trained guard knows how to handle their tools without resorting to excessive force, accidents and improper use of weapons. Not only will this provide more peace of mind – it will also ensure that workplace health and safety obligations are always met. Before you write security officer training off as a waste of your resources, it is always a good idea to stop to remember the benefits that such training can offer – particularly when it comes to the safety of you and your employees.